I have a friend here in El Paso that is so talented and when I found out that she has a blog, I knew I had to let you all know. Her blog is called Sew Stormy. She has five children and as you can imagine, is always busy, but she finds time to work on fun projects. She has an amazing sense of style! 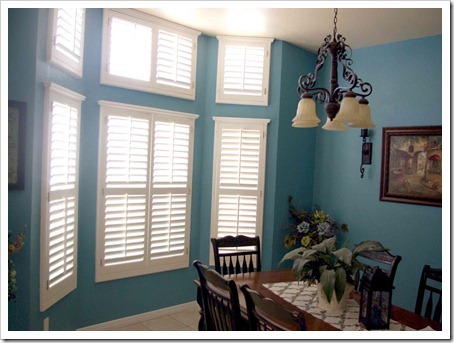 She just recently repainted her dining room to this beautiful blue. You can take a look at the before pictures on her blog. The blue is so calming, I love it! Here is her Daisy Buttons Quilt. 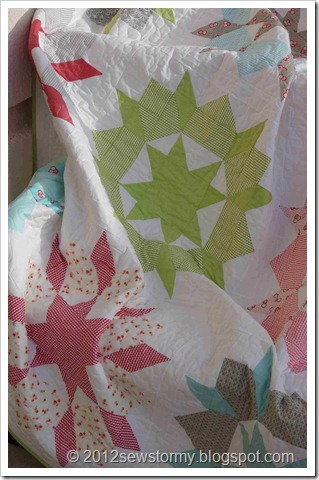 Here is another quilt that I think is darling! I love all the colors in it! This one is called the Modern Rose Garden. 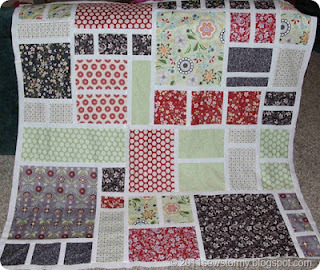 I also love her Swoon Quilt! But she does more than quilt and paint her house, she also is a canner and cans her own fruit and jams. And she decorates so cute! 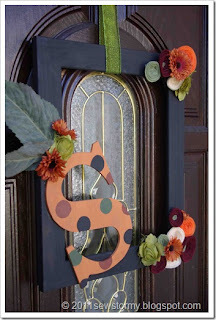 Here is frame wreath that she made this past fall. I love fall! So...you really should head on over to Sew Stormy and look around at all her craftiness! You won't be disappointed! Vote for us on Picket Fence by clicking this button! Hey thanks for all the great comments and the feature! It's the best when you get good feedback on the work you've done! Extremely talented lady! Just found your blog and so happy I did. I'm a fellow Texan for the 2 of you that reside in this great state. 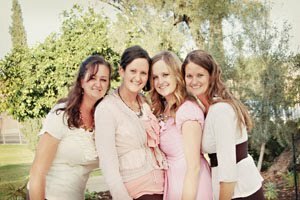 :-) It's neat to "meet" 4 beautiful young ladies that are very creative.